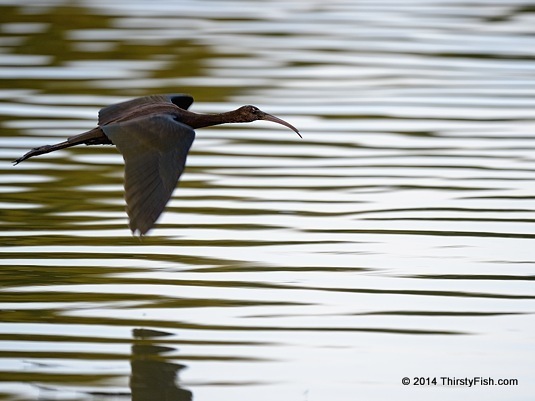 The down-curved bill of the Glossy Ibis is unmistakable. The Ancient Egyptian God Thoth was generally depicted as a man with the head of an ibis. Thoth maintained the universe and was the arbitrator of disputes between gods. He was also associated with magic, writing and science. One of the first birds Noah released from the Ark was an ibis.